Thanks for taking a minute to get to know me. I’m Rachael and along with my husband, Joe, and 3 children, we have made our home in the Central Valley of California. My family loves looking through photo albums together; laughing and telling stories from those years that have passed by so quickly. Along with your photos are memories of that day. As moms, we often wait for the “perfect” time to get family photos. At a six month portrait session, I encouraged the mom to snuggle with her baby boy as I took some photos of them together. So often we moms aren’t in the photos, because we’re the ones taking the photos. This mom now has a large portrait of her snuggling with her baby boy, the youngest of her three children. She now looks at that portrait as her boy has grown and remembers snuggling with her sweet boy and how little he was. 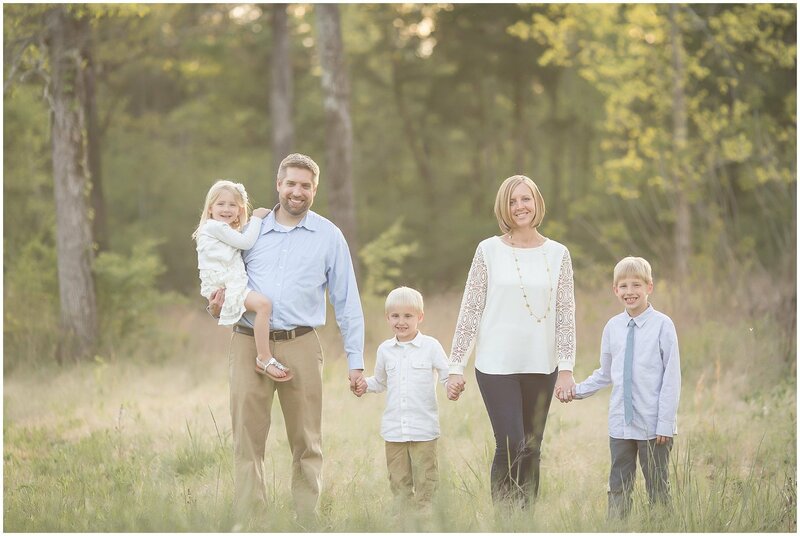 I am passionate about providing families with tangible memories of the ones they love most. This is why I have partnered with the best professional photographic printers in the world to create the highest quality of wall art and albums for my clients to treasure and display in their home. I strive to preserve these moments in time, so when my clients see their portraits displayed in their homes, they will be moved to tears and it will bring joy to their hearts. I can’t wait to hear from you and start getting to know more about you and your family!